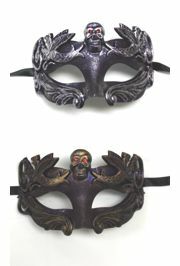 Venetian masks decorated with feathers. 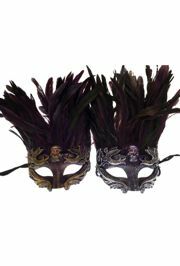 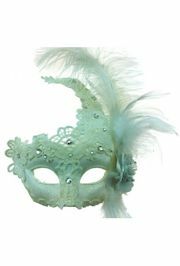 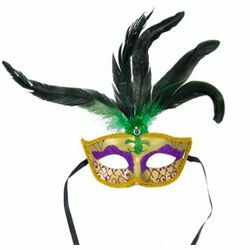 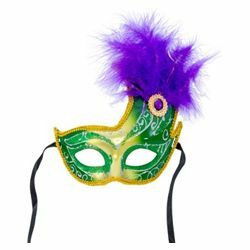 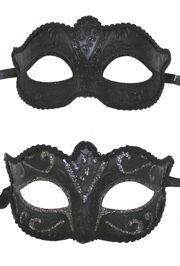 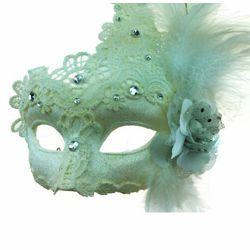 Venetian masquerade masks have a long history of hiding the identity of the person wearing them during carnivals, balls, and celebrations. 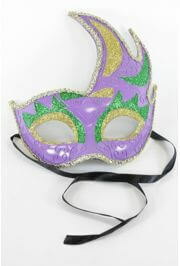 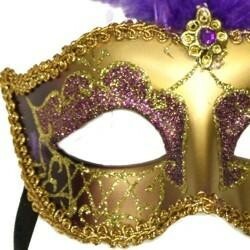 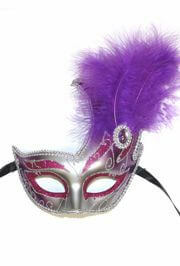 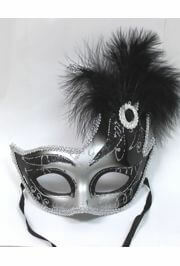 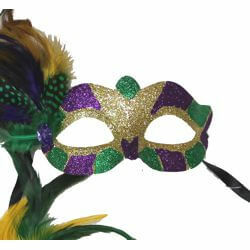 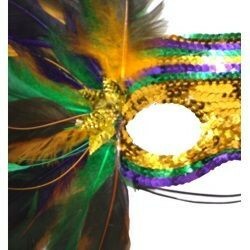 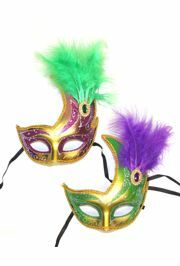 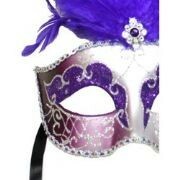 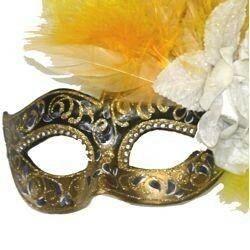 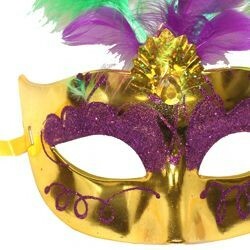 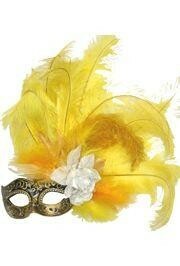 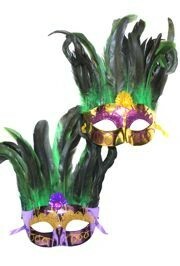 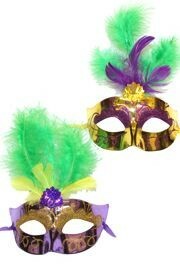 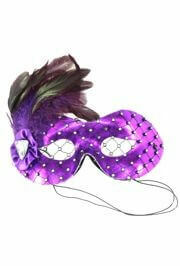 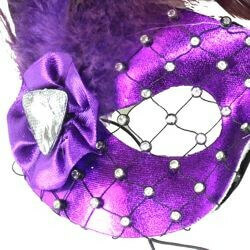 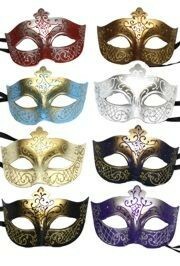 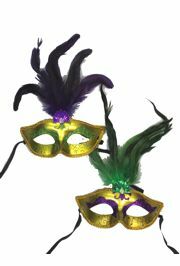 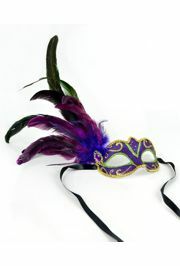 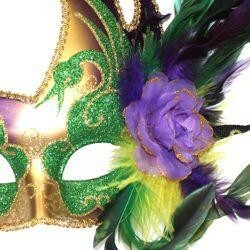 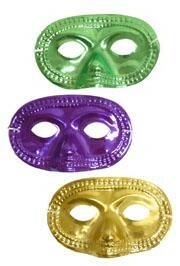 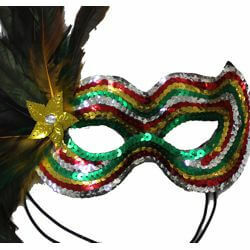 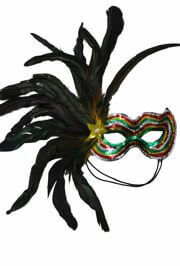 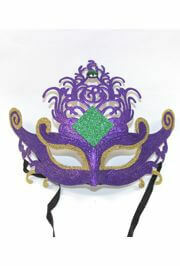 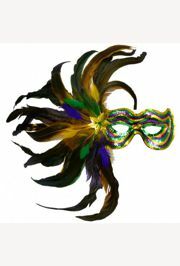 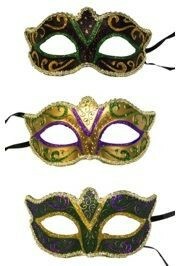 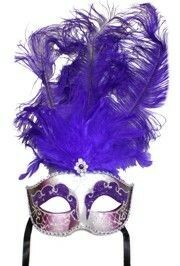 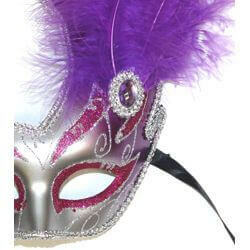 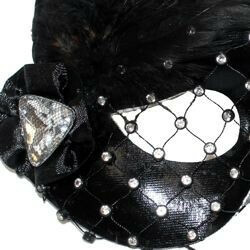 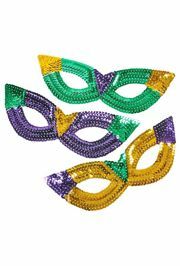 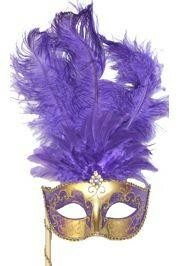 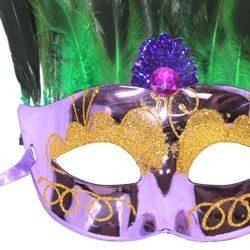 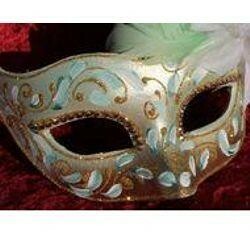 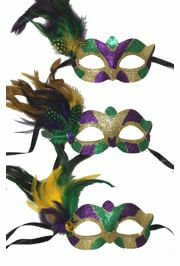 These masks are made from paper-mache or plastic and decorated with feathers, fabric, trim, glitter, gemstones, etc. 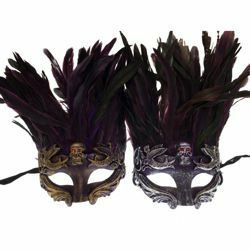 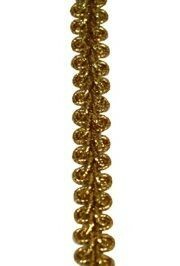 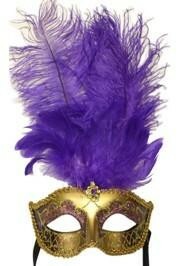 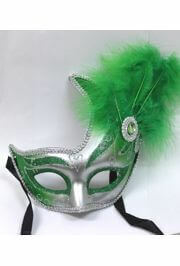 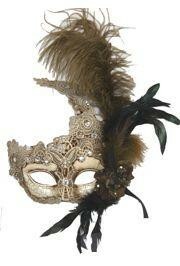 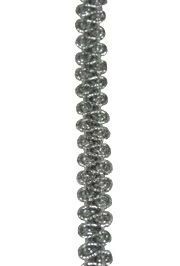 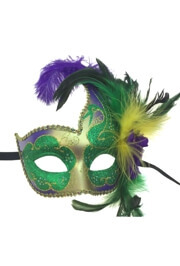 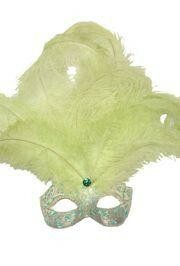 Venetian Feather Masks come with or without a stick, depending on the style. 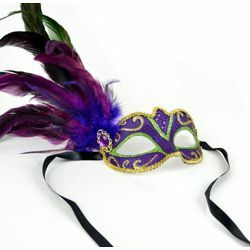 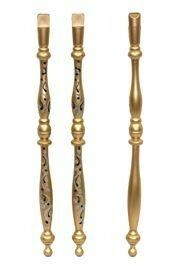 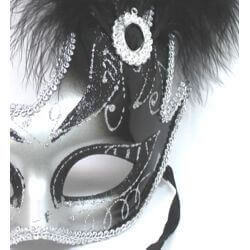 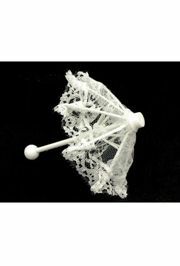 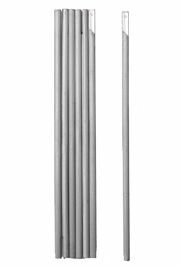 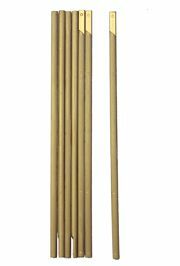 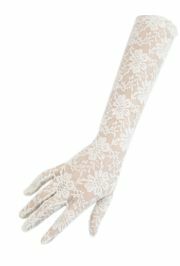 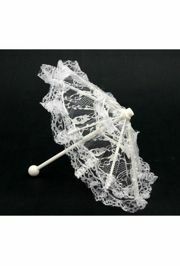 If a mask does not have a stick and you wish to add one, visit our Sticks Department. 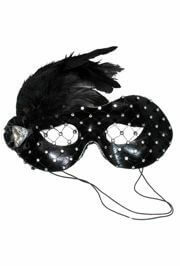 This black and gold paper mache Venetian masquerade eye mask features gold glitter scrollwork, clear rhinestones around the eyes, and yellow ostrich and capon feathers.